Wanna see why Cookeville is known for epic riding?! The state of Tennessee has some of the most beautiful backroads and scenic routes in the world, and the Upper Cumberland region boasts some of Tennessee's best. 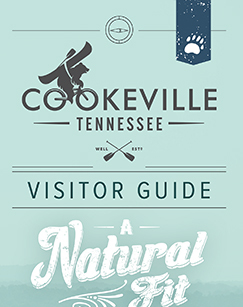 Situated at the crossroads of Interstate 40 and State Highway 111, Cookeville is the hub of the 14-county region. A thrilling motorcycle destination, this biker-friendly city serves as a major stop for Run for the Wall each year, is home to the Southern Cruisers' annual rally, and has served as host of the Tennessee State H.O.G (Harley Owners' Group) Rally in 2012, 2014 and 2015 as well as Harley-Davidson's inaugural Southern Backroads H.O.G. Rally in 2017. Ready to test out the curves of the Cumberland Plateau? Cruise on over to Cookeville, where 12 righteous rides await you!